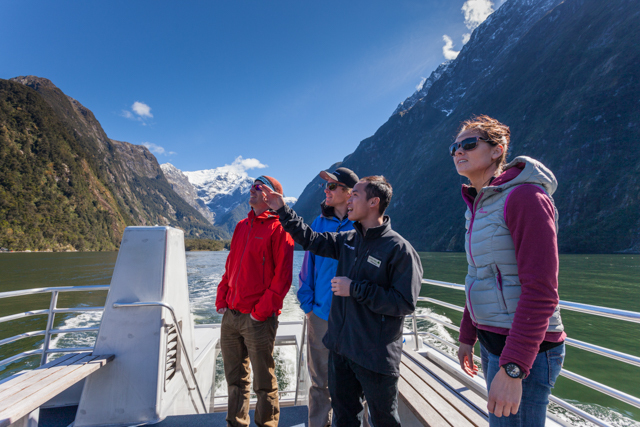 Mitre Peak Cruises - Small Group Boat Tours on Milford Sound. 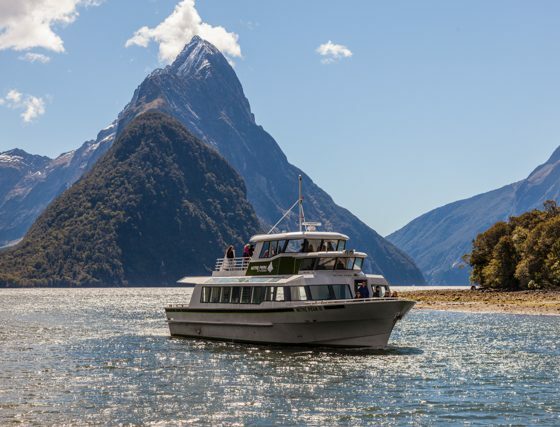 For a small, cosy and intimate cruise join Mitre Peak Cruises who will enable you to experience the spectacular Milford Sound, in a way you never imagined was possible. 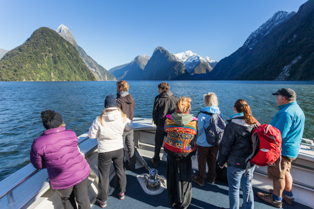 Mitre Peak Cruises operate daily leisurely cruises that venture into the Tasman Sea past the St Anne’s Point Lighthouse. 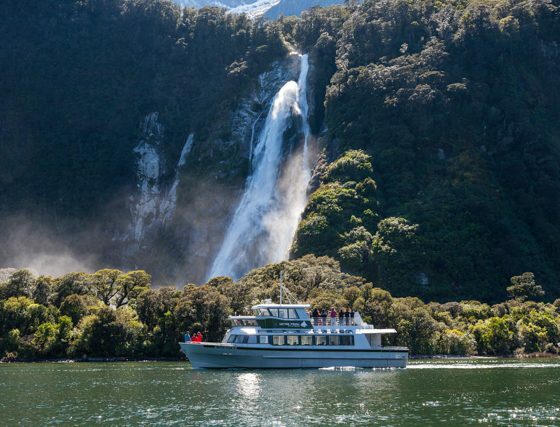 Small boats offering intimate, uncrowded, personalised cruising, give close-up views of the natural beauty and wildlife. 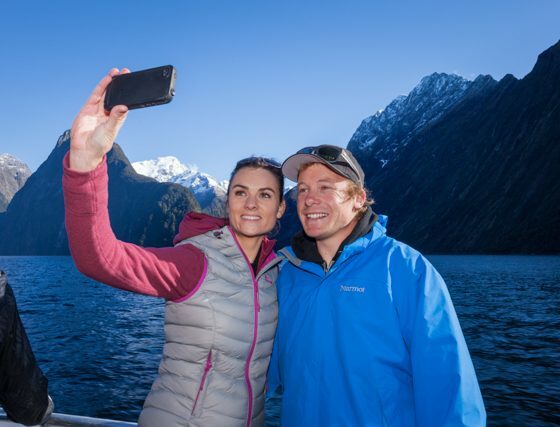 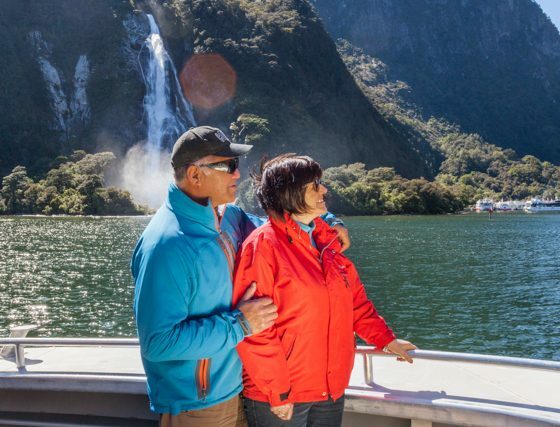 Join the cruise at Milford Sound or take our daily small luxury coach from Queenstown or Te Anau with photo stops and short bush walks en route. 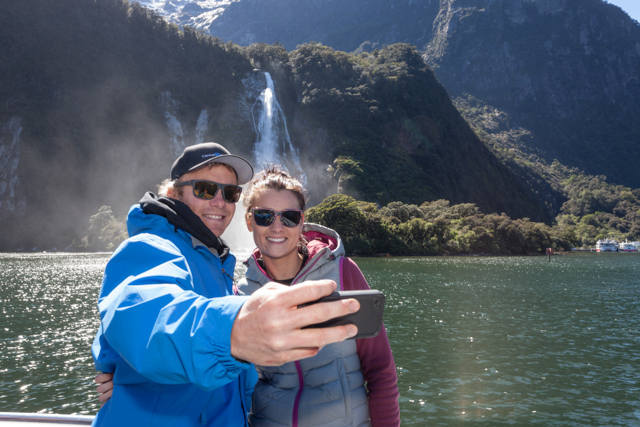 Ask about our Fly-back option from Milford Sound to Queenstown. 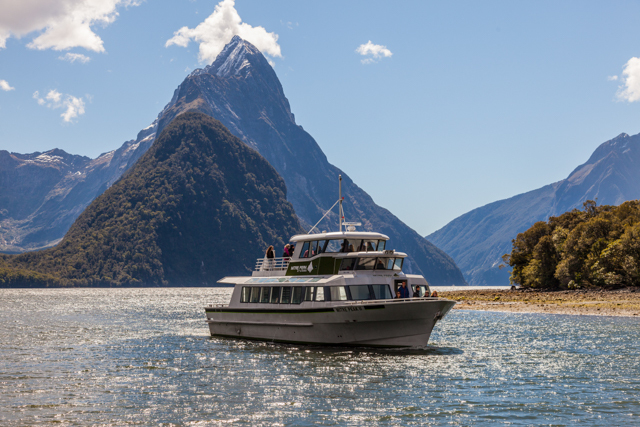 Sit back and relax as your cruise departs from Milford Sound Wharf, and makes its way out past the iconic Mitre Peak. 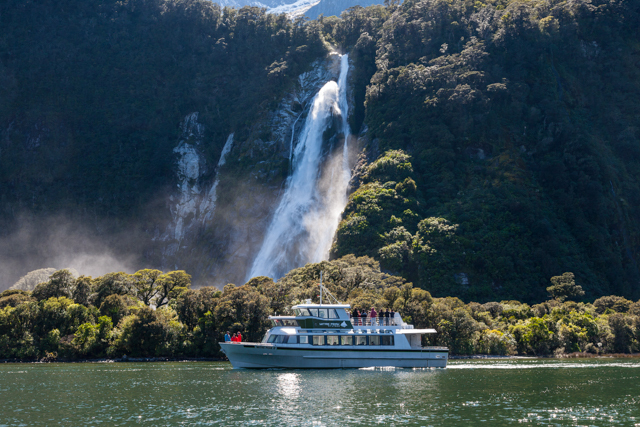 Cruise the length of the 16km fiord, out past St Annes Point Lighthouse, while listening to informative commentary from our skipper who will highlight points of interest along the way including the mighty Lady Bowen Falls, Lion Mountain, Copper Point, Seal Rock and Stirling Falls. 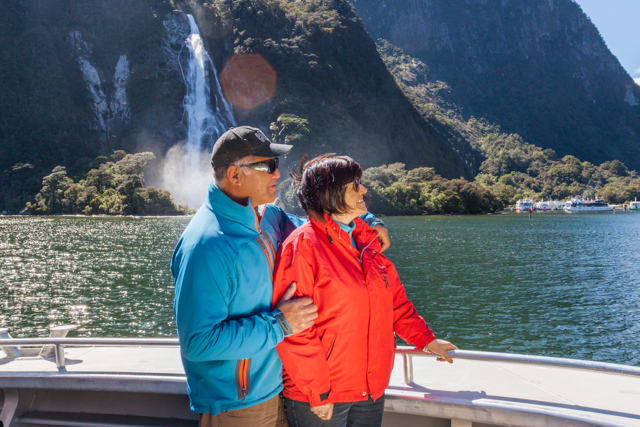 We go further, and get you closer than any other operator in Milford Sound. 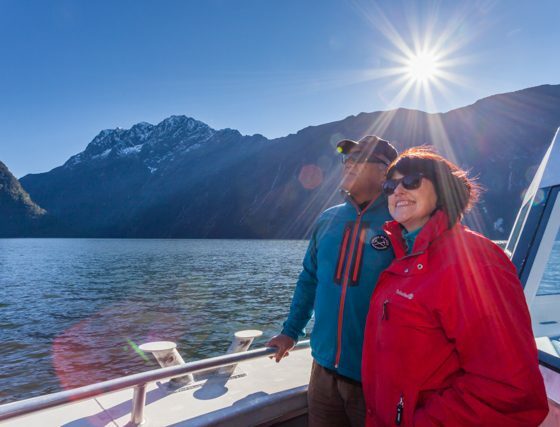 Whether you choose to keep warm with a complimentary tea/coffee seated inside our lounge or want to get outside and breathe in the pristine alpine air, you are going to be inspired by the majesty of the region. 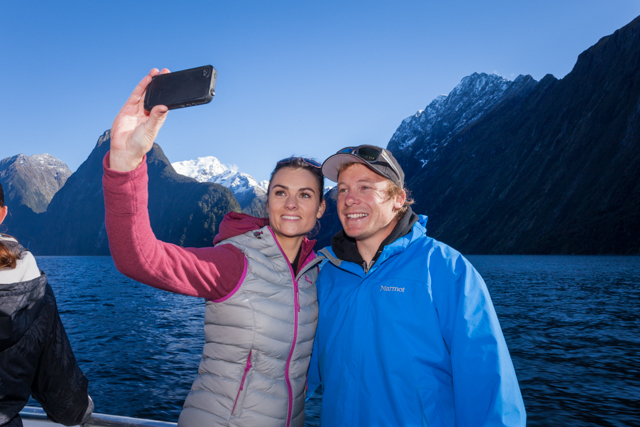 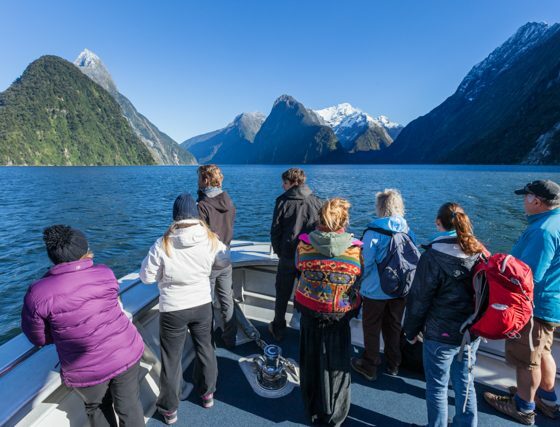 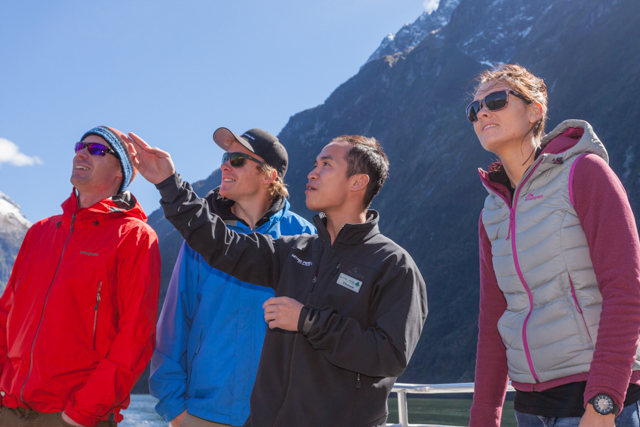 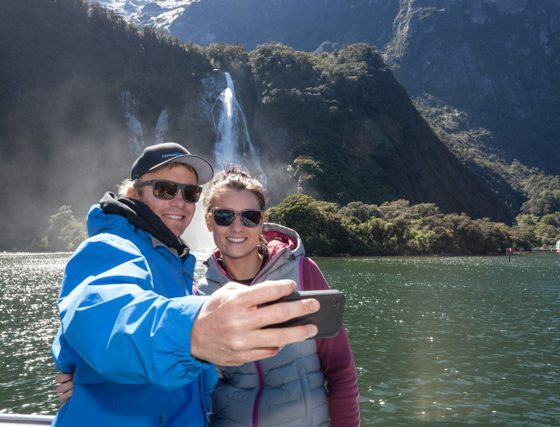 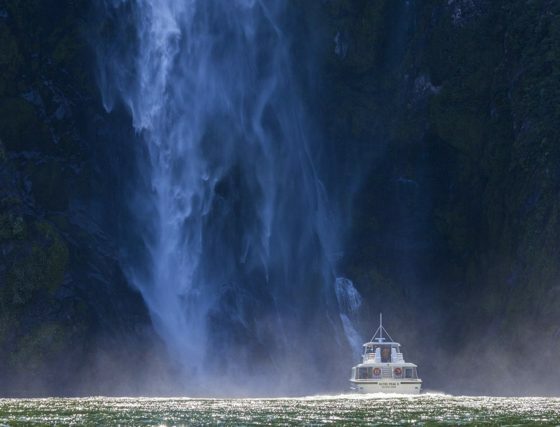 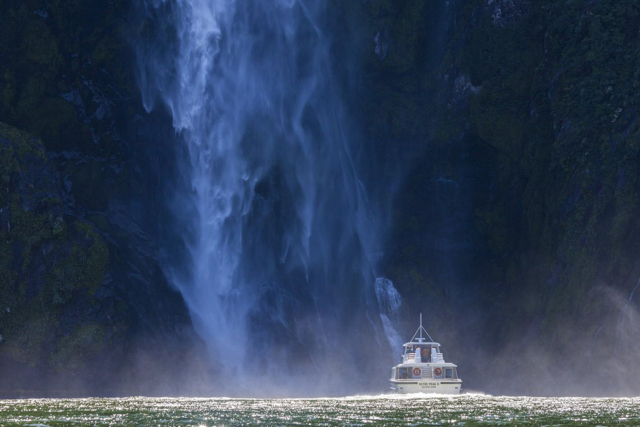 Our cruises have strictly limited passenger numbers, rewarding you with an intimate experience of Milford Sound while allowing for unobstructed photo opportunities from our outdoor viewing decks. 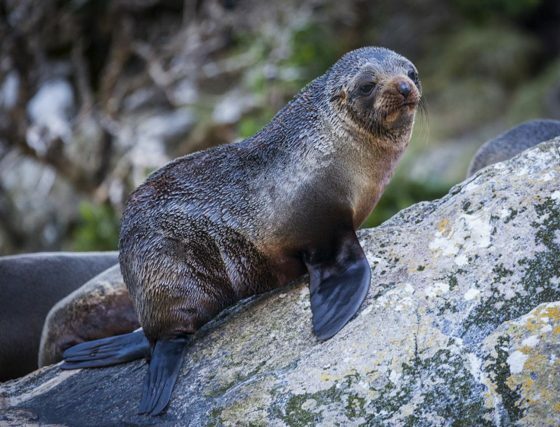 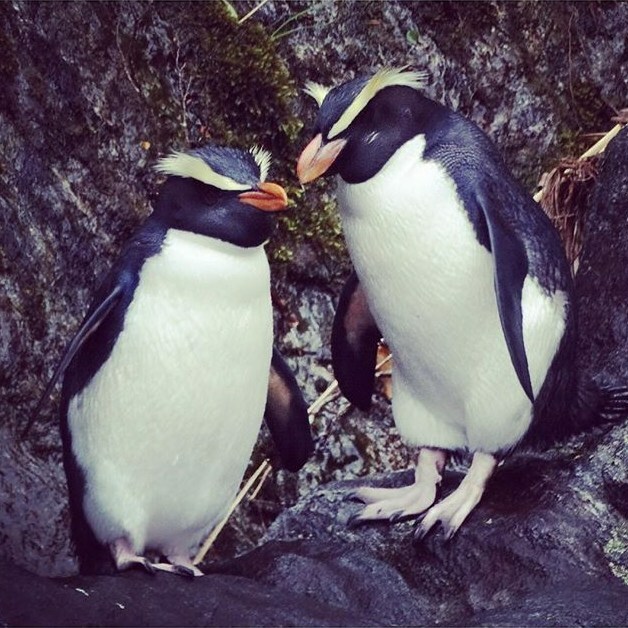 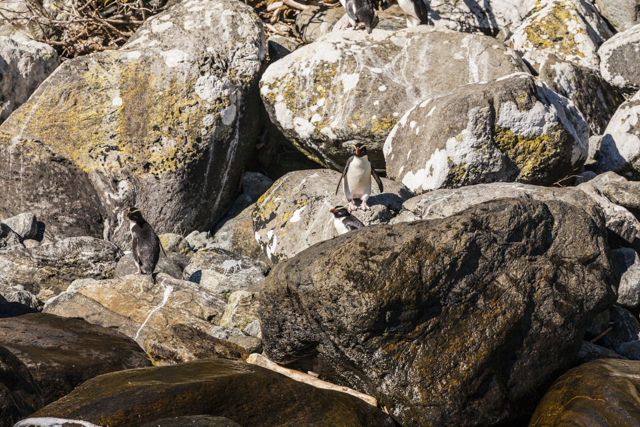 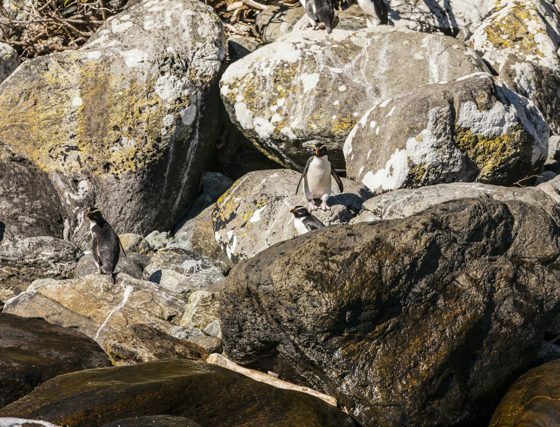 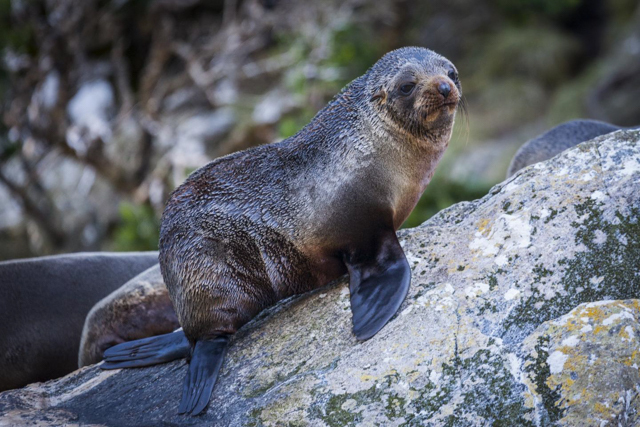 Be sure to keep an eye out for seals basking in the sun, pods of dolphins or rare Fiordland Crested Penguins that can be found seasonally within the region. 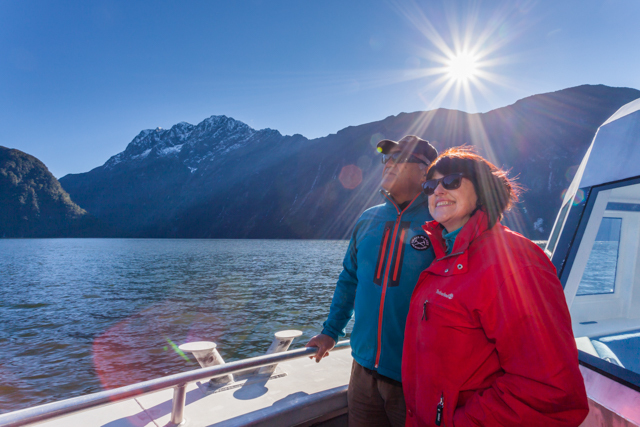 A day trip along one of the world’s finest alpine drives, which connects to a two hour cruise through the natural wonder of Milford Sound. 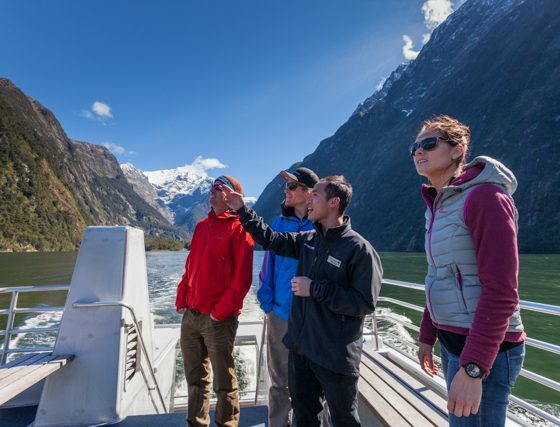 Departs from Queenstown – Full day tour.